Africanized Bees are also known as Africanized Honey Bees as they are a honey producing bee. Africanized Bees are also known as ‘Killer Bees‘ and are hybrids of the African Honey Bee and various European Honey Bees. The Africanized Bee in the western hemisphere descended from 26 Tanzanian queen bees (A. m. scutellata) accidentally released by a replacement bee keeper in 1957. The release happened near Rio Claro, São Paulo State in the south of Brazil from hives operated by biologist Warwick E. Kerr, who had interbred honey bees from Europe and southern Africa. Hives containing these particular bees were observed as being different and were noted to be particularly more defensive than other honey bees. The hives from which the bees were released had special excluder grates which were in place to prevent the larger queen bees from getting out but to allow the drones free access to mate with the queen. Unfortunately on accidental release, the African queens eventually mated with local drones, and their descendants have since spread throughout the Americas. Africanized Bees have become the preferred type of bee for bee keeping as their honey produce is higher than that of normal honey bees. However, Africanized Bees are less desirable for domestic bee keeping because of their aggressive behaviour. The Africanized Bee tends to swarm more frequently. The Africanized Bee is more likely to migrate as part of a seasonal response to lowered food supplies. The Africanized Bee is more likely to ‘abscond’ – the entire colony leaves the hive and relocates – in response to repeated intrusions by the beekeeper. The Africanized Bee lives more often in ground cavities than the European Bees. The Africanized Bee has a higher proportion of ‘guard’ bees within the hive. 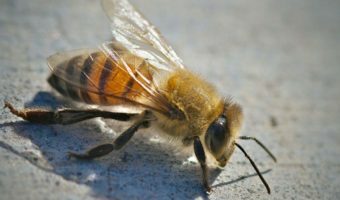 The Africanized Bee cannot survive extended periods of forage deprivation, preventing intrusion into areas with harsh winters or extremely dry late summers. As of 2002, Africanized Bees had spread from Brazil to south and central America. In 2005, the bees had spread further through the border of Texas and into Southwest Arkansas. By 2007, it was reported that the Africanized Bees had established themselves in the New Orleans area. During their expansion, the bees were known to have traveled almost two kilometres (around one mile) per day. In warmer climates, The Africanized Bees are high competition for the European Bees. As honey productivity of the Africanized bees far exceeds the productivity of the native stingless bees, economic pressures force beekeepers to change to keeping Africanized Bees instead of European Bees..
Africanized honey bees have generally been considered as an invasive species in many regions. Recent evidence suggests that Africanized honey bees may be able to endure cold winters. They have been seen as far as Kansas City, Missouri, though they are more commonly found further to the south. Africanized bees are characterized by greater defensiveness in established hives than European honey bees. 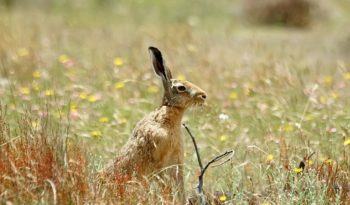 They are more likely to attack a perceived threat and, when they do so, attack relentlessly in larger numbers. This aggressively protective behaviour has been termed by scientists as hyper-defensive behaviour. This defensiveness has earned them the nickname ‘killer bees’, the aptness of which is debated. Over the decades, several deaths in the Americas have been attributed to Africanized bees. 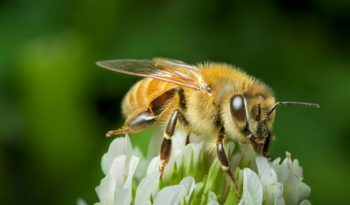 The venom of an Africanized bee is no more potent than that of a normal honey bee, but since the former subspecies tends to sting in greater numbers, the number of deaths from them are greater than any other subspecies. However, allergic reaction to bee venom from any bee can kill a person and it is difficult to estimate how many more people have died due to the presence of Africanized bees. Not all Africanized hives are defensive. Some are quite gentle, which gives a beginning point for beekeepers to breed a gentler stock. This has been done in Brazil, where bee incidents are much less common than they were during the first wave of the Africanized bees’ colonization. Now that the Africanized bee has been ‘re-domesticated’, it is considered the bee of choice for beekeeping in Brazil. It is better adapted to the tropics and so is healthier and more industrious than European bees.